Repels flies, fleas and mosquitoes on horses, dogs, cattle and pigs. Controls fleas (Ctenocephalides spp) and lice (Hecterodorus sp, Linognathus sp, Trichodectes sp and Felicola sp) on dogs and cats. Oil-based solution that doesn’t sting – most other repellents are alcohol-based! To stop fleas from breeding spray beds and kennels, too. Suitable for 12 weeks of age and older. "Flies and mozzies drive me barking mad. 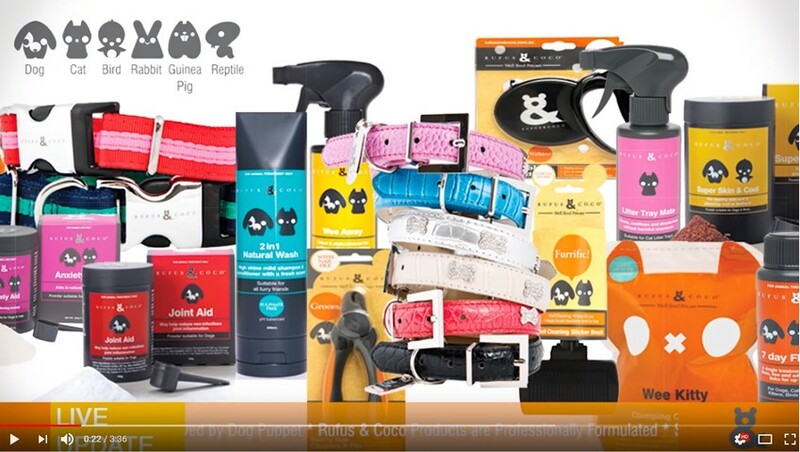 But regular use of Rufus & Coco’s professionally formulated Bug Off sends the little critters packing from dogs like me, as well as cats, horses, cattle and even pigs. Better than a corked hat, eh?"